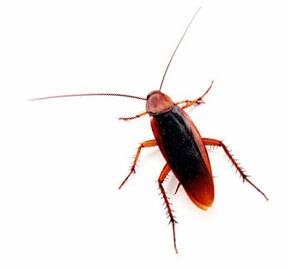 Is there a Cockroach in your Bathroom? So, what is the first thing you do when you enter a hotel room? Most will check the bathroom… or the bed sheets. And when these are nice and clean do we make a little dance and are over the moon? No, this is what we expect. These are the hygiene factors. However nice and fancy your hotel room might be, if there is a cockroach in the bathroom or the bed sheets dirty we will turn around to never return. However, once the hygiene factors are in place we are ready to enjoy the advantages of the product or service on offer. In all product and service offerings there are hygiene factors and motivators. The latter are what customers truly enjoy, while the former provide the foundation of this enjoyment. How do your customers experience your product or service? In a recent Harvard Business Review issue there is an article titled: “an Anthropologist walks into a bar…” If you want to understand what is truly happening to your customers you need to observe them in their natural habitats as an anthropologist would, and define the problem you face with your product or service as a phenomenon (e.g. From “how can we create a premium offering in coffee” to “what is a good coffee experience” . Typically, this way of observing the customer will provide surprising insights and can point to the proverbial cockroach in your bathroom. Most of the time what dissatisfies your customer is not the opposite of what makes them happy and satisfied. And, the hygiene factors are typically not as obvious as a cockroach in a bathroom or dirty bed sheets. Next Next post: Chief Strategy Officers: fashion or necessity?